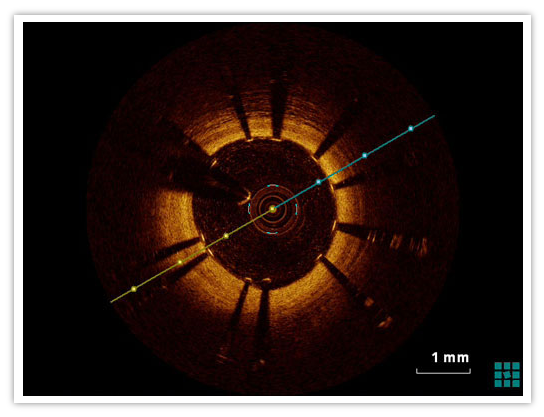 Worldwide, Drug Eluting Stents were introduced in order to counter the high restenosis rates associated with Bare Metal Stents. 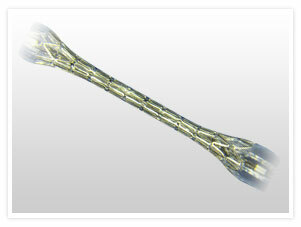 3V NEIL Sirolimus Eluting Stent System elutes Sirolimus from a biodegradable polymer matrix. The drug is coated on both abluminal and luminal surfaces of the stent and is released in a controlled manner. This gives the device Superior safety and efficacy. Sirolimus is a white to off-white powder and is insoluble in water, but freely soluble in benzyl alcohol, chloroform, acetone, and acetonitrile & has a melting temperature of approximately 183-185 ºC. 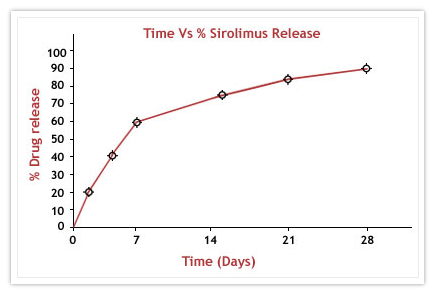 Sirolimus belongs to a class of therapeutic agents known as macro cyclic lactones or macrolides. It is a cytostatic drug and an immunosuppressant. 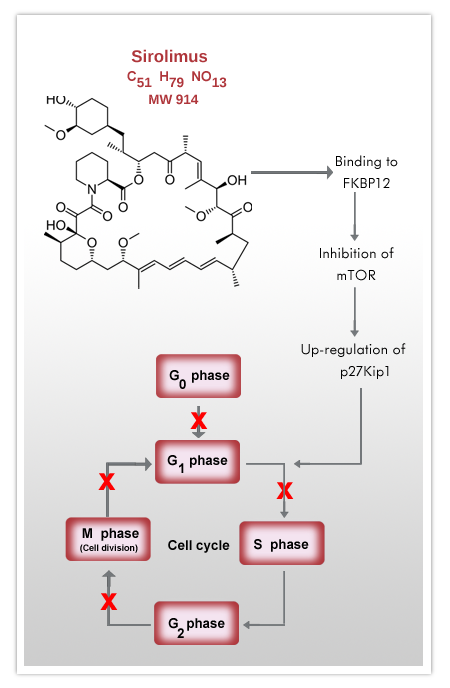 It inhibits cell motility by suppression of m-TOR mediated 56K1 and 4E-BP1 pathways. It inhibits T-Lymphocyte activation and proliferation occurring in response to antigen and cytokine. It also inhibits antibody production. It demonstrates anti proliferative activities. 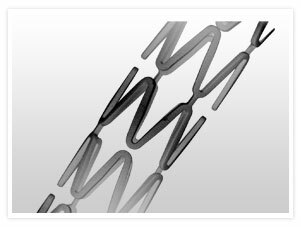 3V Neil is a state of the art Sirolimus Eluting Stent System based on a Cobalt Chromium stent platform, which elutes the drug, Sirolimus (C51H79NO13) from a bio degradable polymer over a period of 4-6 weeks. 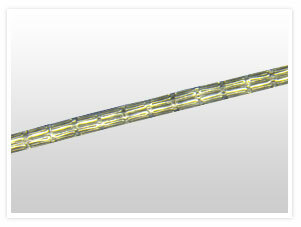 The drug coating of 3V Neil stent System consists of the drug, Sirolimus (the active ingredient) and bio degradable polymer (the inactive ingredient), coated on the entire surface of the cobalt chromium stent at a dose of approximately 1.4 µg/mm2. The bio degradable polymer is a combination of Poly lactic acid (PLA) and Poly-lactic-co-glycolic acid (PLGA) which is completely metabolized in the body (breaking down into monomers, water and carbon dioxide). A unique spray coating technology offers uniformity of coating without any coating defects and maintains its integrity in in-vitro tortuous path. 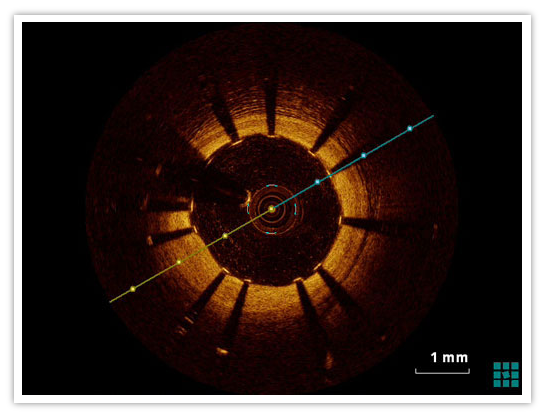 Excellent stent apposition as evidenced in OCT, with a score of less than 20 microns. Rapid breakdown of bio degradable polymer to enhance early vascular healing and quick endothelialisation.